In this new era of cyber-threats, defense has become an arms race. Legacy tools that require prior knowledge of threats are inevitably limited. 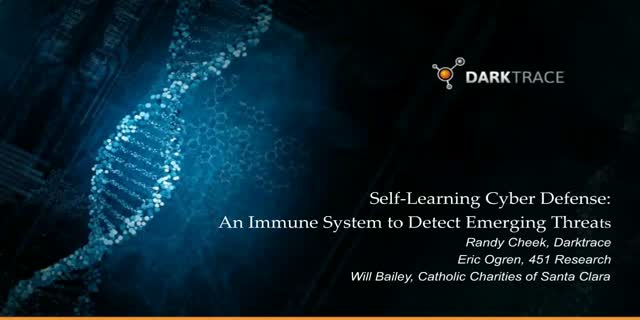 Senior Analyst at 451 Research, Eric Ogren, discusses this new generation of attackers, and reviews self-learning technology that replicates the principles of the human immune system by learning the ‘self’ of an organization, in order to detect outliers and deviations in real time. He will be joined by Will Bailey, Director of IT for Catholic Charities of Santa Clara, who spotted and successfully contained a ransomware attack, within minutes of infiltration, using Darktrace’s Enterprise Immune System.